The City of Takoma Park contracted with two different architecture firms to conduct a zoning analysis and a recreational needs study for the Recreation Center on New Hampshire Avenue. Waldon Studio Architects conducted a study of the Takoma Park Recreation Center (New Hampshire Avenue Recreation Center) recreational needs. 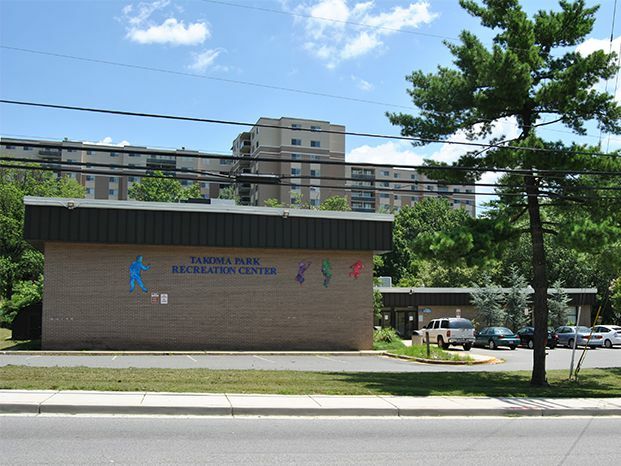 The study assesses recreational service demand and supply in the Takoma Park area currently and in the future for the Recreation Center. Also, the City was provided with recommendations on the best ways for the Recreation Department to prepare for and meet recreational needs for the surrounding community. This study explores five conceptual development schemes for the potential redevelopment of the Takoma Park Recreation Center on New Hampshire Avenue. These include dedicated recreational, commercial, and residential schemes, as well as mixed-use schemes combining a recreation center with either residential or commercial uses. All five schemes assume the site is fully redeveloped and the existing Recreation Center is demolished. Both studies were completed in FY15 and were presented to the City Council during an Work Session on October 5, 2015.